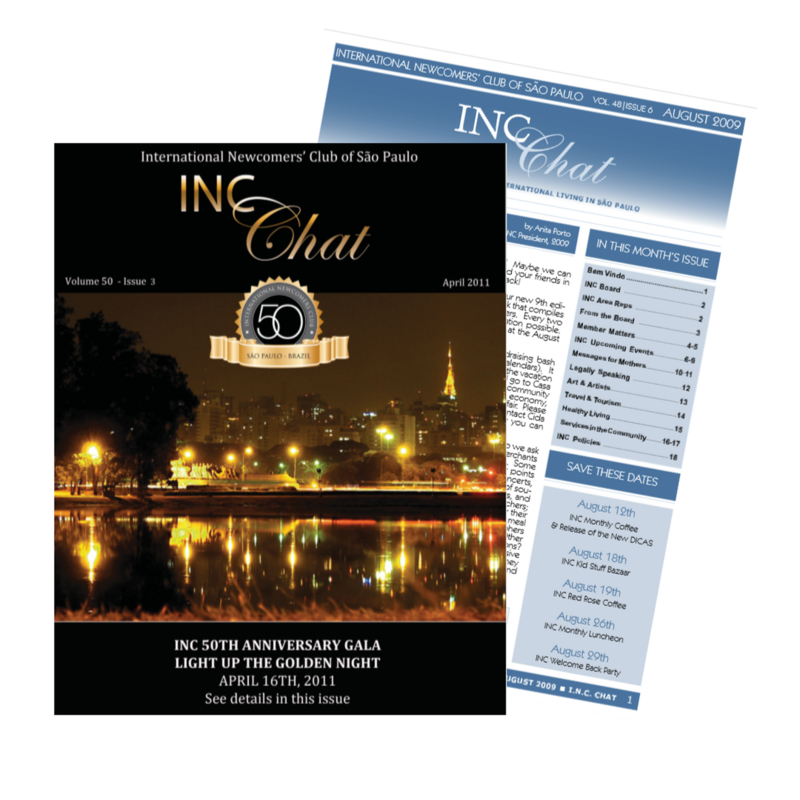 The INC Chat is our monthly publication, available online to members only. The INC Chat features information on upcoming events, as well as interesting articles and helpful tips. Additionally, our newsletter features advertisements from local doctors, dentists, schools, restaurants, hairdressers and many more services, referred by INC members. INC members receive a weekly update, with reminders of upcoming INC events , as well as useful information about the club and our community. Members also have exclusive access to the INC Facebook group, which allows for communication between club members. INC events and other club communications are also posted. Having access to someone close by is important in such a big city, so each INC Area has its own Whatsapp group to allow members living in close proximity to have immediate communication. The International Newcomers’ Club of São Paulo (INC) reserves the right to feature in its newsletter, on its website or in other forums any and all material submitted to its publications for an unspecified period. INC is a volunteer organization that provides no paid compensation for contributions to any of its members. No materials in INC publications may be reproduced in whole or in part without the written consent of the International Newcomers’ Club of São Paulo. INC reserves the right to edit copy submitted. 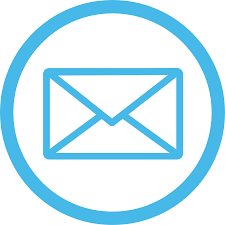 Views and opinions expressed in articles do not necessarily reflect those of the INC Chat newsletter or the INC.
INC sells space to advertisers to provide helpful information to our readers and to benefit our club. All advertisers must be referred by at least two INC members of different households who have used their professional services in order to be invited to advertise in our publications. Businesses shall not be allowed to gather personal information on the participants, including e-mails or phone numbers, for future commercial use, use photographs of INC events for commercial purposes, nor distribute business cards, flyers or any other advertising material at other INC events. Please note that use of the INC communications and membership database for commercial purposes is strictly prohibited, and subject to exclusion from the club and from future advertising opportunities. WHAT DOES INC CONSIDER COMMERCIAL, OR A BUSINESS? WANT TO ADVERTISE WITH INC? Two important qualities of INC publications are the seriousness and professionalism with which we approach our advertising policies. Whether in the INC Chat magazine or the INC Dicas book, advertising with INC is not open to everyone - and this is a very important element that distinguishes the purely commercial advertising you will find in other publications from the advertising you will find through INC. Potential advertisers seeking to join our publications MUST be referred by at least two active INC members to be considered for inclusion in our publications. These members must be of different households and must have personally used the products or professional services provided by the potential advertiser. The proposed ad and referrals then go through the INC Advertising Director, who will preliminarily screen the advertiser, to make sure the referrals are legitimate and that the product or service being offered is of interest to our members. It is only after these steps have been taken that the potential advertiser may submit the ad for consideration. INC then screens the ad to the best of our capacity to make sure any professional titles, specialties or affiliations are true and that any other information featured in the ad is accurate. If there is any room for doubt, INC reserves the right to refuse an advertisement. Likewise, if INC receives feedback regarding a featured advertisement that puts the reputation of our publications at risk, the INC reserves the right to cancel the ad. INC does not accept advertisements or referrals of professionals are not licensed in Brazil and are legally obligated to be licensed to practice in the country. INC also seeks to maintain its social objective and to protect its membership from unsolicited advertising. It is for this reason that misuse of the club database for commercial purposes and advertising of professional services at club functions or through any other means than the INC Chat and INC Dicas are strictly prohibited and subject to permanent exclusion from the club membership and future advertising opportunities. INC cannot promise that every member will love each one of our advertisers, but we can promise this: INC will continually try its best to introduce members to trustworthy and ethical professionals and establishments. This is what makes advertising in our publications so unique. You cannot use the INC database for commercial purposes, nor advertise your business, products and/or services nor include business references or information in INC emails, Facebook group, INC Whatsapp groups or at INC functions. You cannot use INC resources for advertising another expat club, nor solicit membership for other expat clubs using INC resources or at INC functions. INC does not allow posts proposing currency exchange using INC resources. Though we know it is common practice amongst friends, Brazil does not allow currency exchange outside of authorized banking institutions. For more information, click HERE. INC does not allow referrals of unlicensed healthcare professionals on the INC Facebook group or Whatsapp groups. Please make sure any professionals you are referring through the INC Facebook group are licensed to practice in Brazil. Foreign licenses are not valid in Brazil and practicing without a license is illegal and subject to civil and criminal prosecution. If you are unsure, please use the links below for easy online verifiaction prior to posting. Yoga, Dance, Martial Arts or Capoeira Establishment or Instruction: These four categories of exercise instruction do not require licensing in Brazil due to a temporary injunction. CRT: This is not a legally valid license and is not accepted for this reason. INC strives to be a social club to build lasting friendships, as well as a trusted resource of information and to comply with local laws. Thank you for understanding. Take advtatage of the INC database, INC emails, INC Facebook group and INC Whatsapp groups to connect with other members, meet new friends and make lasting friendships. Consider purchasing advertising space for your products or services. 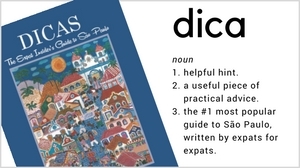 Refer businesses you have used and like for inclusion in the next Dicas book through our online form (available in the BLOG link of the Members Only section of our website). Let us know if you are unhappy with one of our advertisers through our online form (available in the BLOG link of the Members Only section of our website). Ask us to advertise an event sponsored by another club and open to INC members in our communications by sending us information by email to vpcommunications@newcomers-sp.com.br. 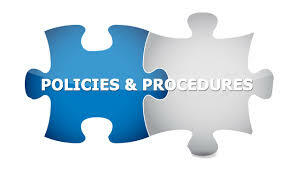 * Members who do not abide by the INC bylaws and/or policies are subject to exclusion from the club.